The field for the 2018 PIRTEK Enduro Cup is set, with first-year Supercars squad Matt Stone Racing signing Dunlop Super2 Series driver Bryce Fullwood. To partner Todd Hazelwood in the Bigmate Racing Falcon, Fullwood is the 26th and last co-driver locked in for the Sandown 500, Supercheap Auto Bathurst 1000 and Vodafone Gold Coast 600. 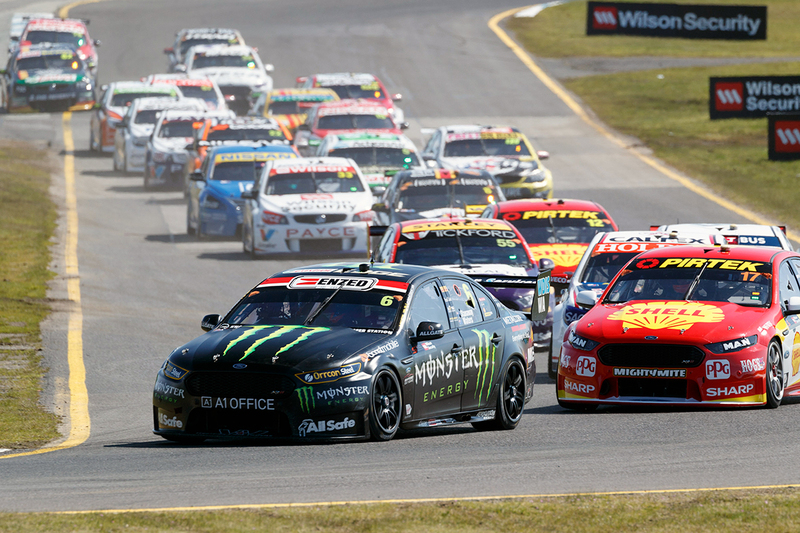 Points scored across the three events will crown the winner of the PIRTEK Enduro Cup, won in 2017 by Tickford Racing’s Chaz Mostert and Steve Owen. The bulk of the 2018 co-drivers turned laps in Winton’s additional driver session last month, with another hitout scheduled for the Friday of the Ipswich SuperSprint in July. Darwin native Fullwood will be one of four enduro debutants this year. That group is headlined by two-time Le Mans 24 Hours winner Earl Bamber, who will partner fellow Kiwi Shane van Gisbergen at the Red Bull Holden Racing Team. Matthew Brabham joins Preston Hire Racing, while 2017 Mike Kable Young Gun Award winner Will Brown has been signed by Erebus Motorsport. Fullwood and Brown are among the seven Super2 Series drivers contesting the Enduro Cup. MW Motorsport’s line-up of Garry Jacobson, Dean Fiore and Alex Rullo will race for Nissan, partnering Rick Kelly, Michael Caruso and Simona De Silvestro respectively. Macauley Jones continues with Nick Percat at Brad Jones Racing, while Chris Pither has joined Garry Rogers Motorsport. GRM is one of two teams – 2017 Bathurst winner Erebus the other – yet to confirm its pairings, with Pither expected to partner Garth Tander. Should Erebus leave Luke Youlden with David Reynolds and pair Brown with Anton De Pasquale, only 11 of the 26 pairings will be unchanged from last year. Defending Enduro Cup winners Mostert and Owen are among the split combinations, within Tickford’s new line-up. Those not among the field include veterans Todd Kelly and Jason Bright, who retired from lengthy full-time stints at the end of last year. Experienced co-drivers David Wall, Karl Reindler and Taz Douglas are this year without seats, while Matt Campbell was unable to return to Red Bull due to his Porsche commitments.